IntelHome Designer: a graphical designer to configure home automation systems for disabled persons. This is what Willy Allegre, of South Brittany University, has prototyped with Obeo Designer during his thesis at LAB-STICC laboratory. 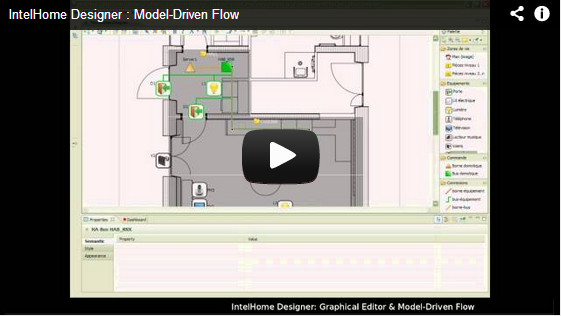 IntelHome Designer consists in modeling a home with all its automated equipments. The model is used to generate configuration files for DANAH, a assistive technology system that pilots automated homes or medical structures. It provides users (elderly and the disabled) with a human machine interface to automate daily tasks. The graphical designer allows non DANAH-expert persons to describe the environment (the home and its equipments) and the possible interactions between the users and these equipments. This case-study illustrates a more and more widespread use of DSL (Domain Specific Language): models can be directly created by non-IT users in order to configure their applications. 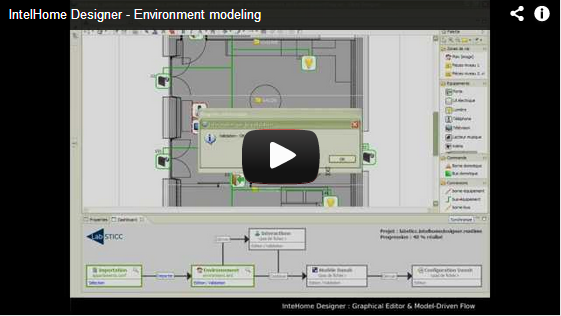 In a previous post, I already presented a similar case-study where models are used to configure an Insurance system. This is made possible by new generations of tools, such as Obeo Designer, which greatly reduce the time to create graphical designers dedicated to a given DSL. url openerProvided blogs and articles looking very supportive for us. IT Staff Outsourcing Services delhi firms offer various versions of outsourcing bookkeeping. The bookkeeping outsourcing firms provide small business owners several benefits.